SOLVACS is an abbreviation of SOLvent VACuum System. 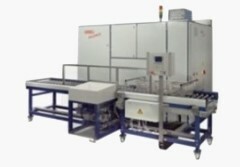 SOLVACS is a compact, automatic cleaning system in which the complete process runs under vacuum. 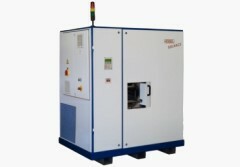 The working chamber is permanently surrounded by solvent vapour during operation and is thus heated from the outside, which clearly improves the cleaning and drying operation of the system. Customer-specific special versions for the widest range of demands regarding batch size, process sequence, throughput, automation, etc.